Embodying everything a roadster should be, the all new 2019 BMW Z4 has arrived. Factory options on this beautiful San Francisco Red with Ivory White example include M Sport Package with 19" Wheels, Premium Package, Executive Package, Remote Start, all new I-Drive system and much more. 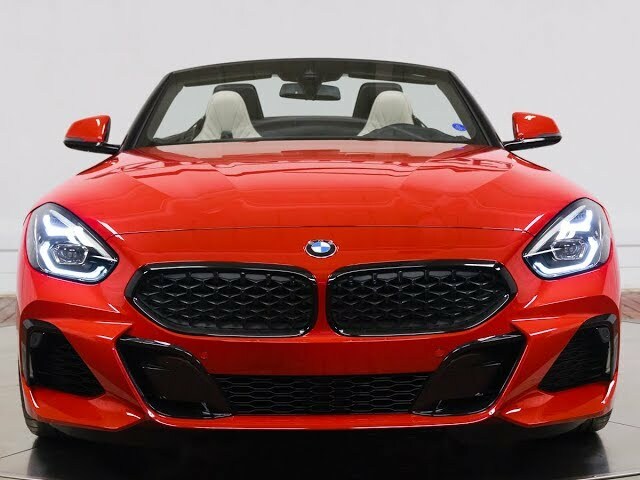 A classic roadster reborn, the all new 2019 BMW Z4 is one for the purist. Contact a BMW sales specialist today by calling 877-362-9715. Isringhausen Imports is Central Illinois' premier new car, used car and certified pre-owned (CPO) dealership for quality BMW, Porsche, Volvo and Mercedes-Benz vehicles. At Isringhausen Imports, we have become a leader in the industry by working each day towards the greater good of our customers, our fellow employees, and our community.